The war took away their homes, the war took away their loved ones but the war did not take away their passion for robotics. 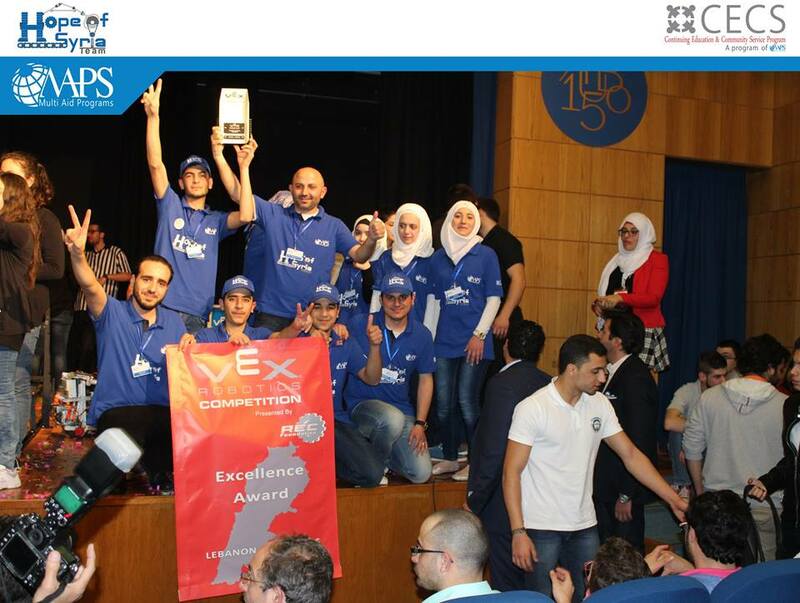 Hope of Syria, a team of high school Syrian refugees built Robogee, the first Syrian robot refugee. 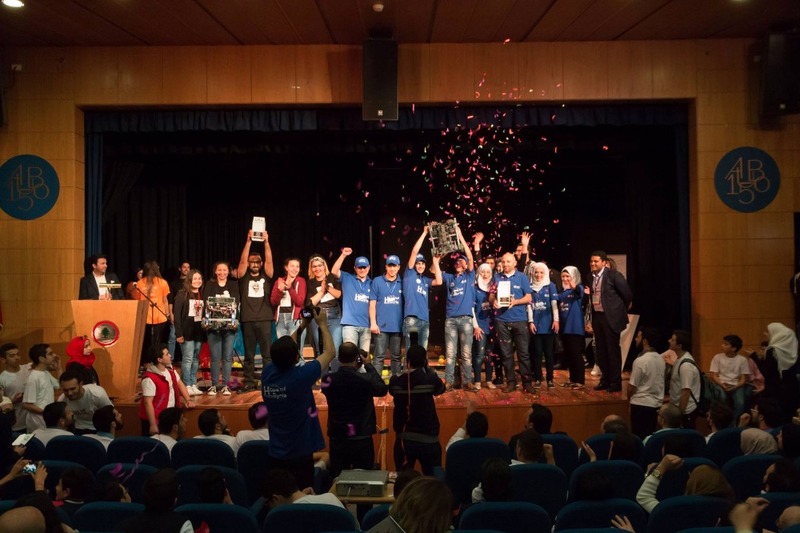 Established in Dec 2015 with the help ofMulti Aid Programs (MAPs), Hope of Syria team members, displaced by the war in Syria, used robotics to escape the tough realities of living as refugees in Lebanon. To counter the destruction of war, Hope of Syria used spare parts of steel to recreate life. Robogee is a tribute to all the lives lost in the conflict. MAPs is a major donor of the Continuing Education and Community Services Program which houses the Robotics team. The robotics team exists because of financial support from the MAPs. 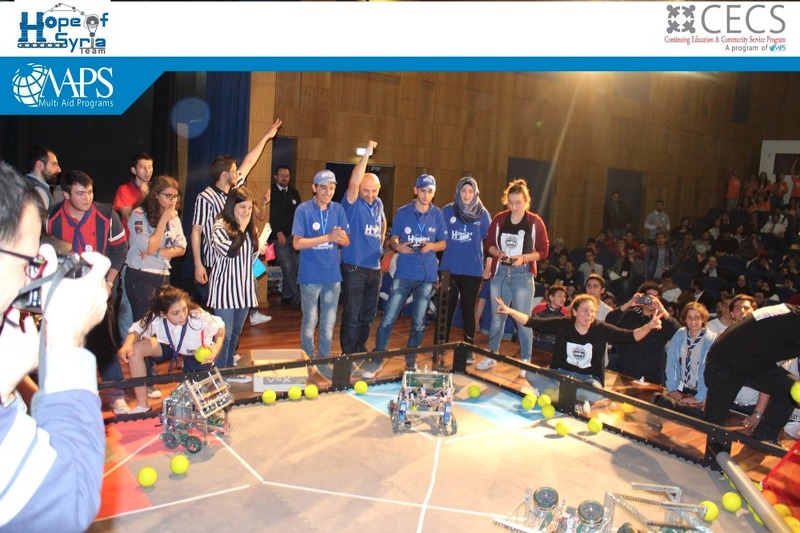 Despite little training, Hope of Syria won first place in the Vex Lebanon Robotics competition - a global platform for middle and high school robotics program fostering future STEM innovators. 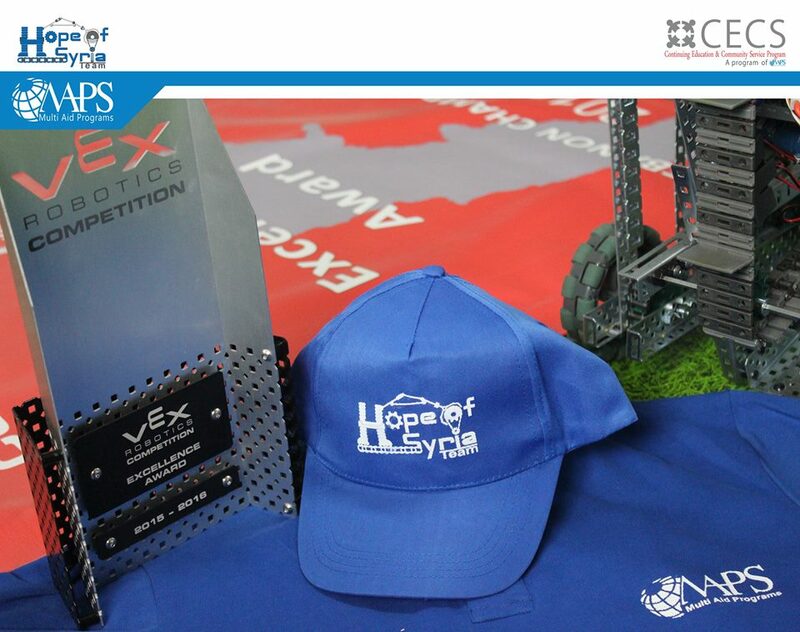 Hope of Syria has been invited to compete at the Vex International Robotics competition in Louisville, Kentucky from April 19 - 25, 2016. More than just the Syrian refugee community, the team represents the displaced populations worldwide. Ready to embark on this journey with already approved visas, unrooted Hope of Syria lacks the funding support to secure several expenses for their trip. Rahma Relief Foundation, in partnership with Syrian American Eng. Association, is now working to collect the expenses of this trip. All donations will go to Rahma Relief Foundation a 501 (c)3 non-profit. All donors will receive a tax exemption receipt once the campaign is over. 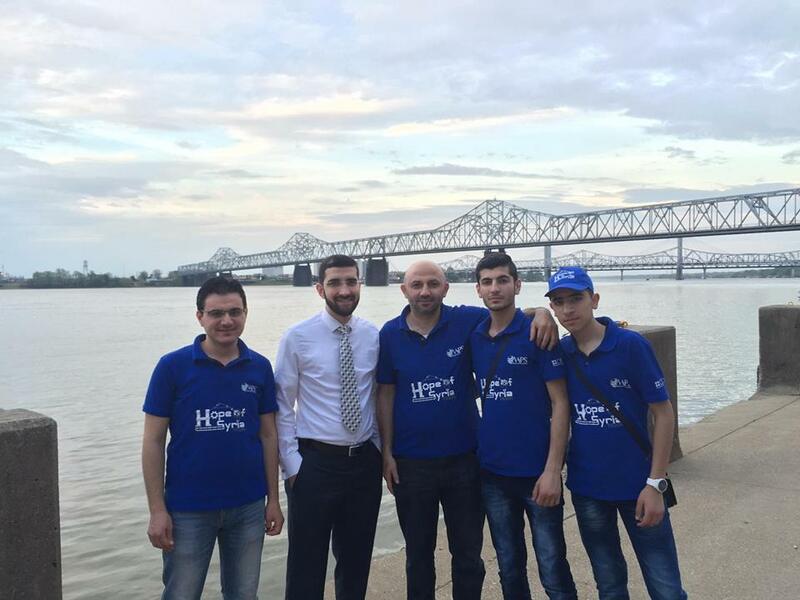 The Hope of Syria team is now in Kentucky and the competition starts today! We wish them best of luck and are confident they will bring home the 1st place prize! Their hard work deserves recognition; please share! The Hope For Syria team would like to thank all of you for your generous donations! This campaign will expire Sunday April 23rd at midnight, so please share their story with friends, family and coworkers etc. and help us reach our goal so that they can have a successful trip! Good luck its your competition. The important part is: do NOT forget your country and people no matter what.